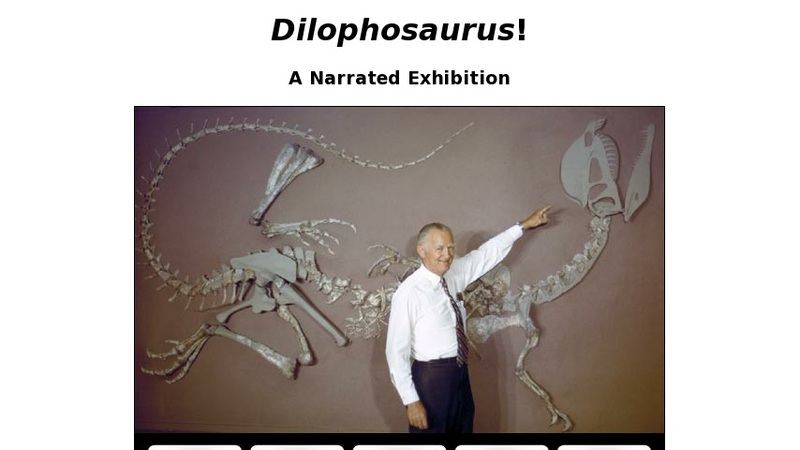 This guided tour of the dinosaur known as Dilophosaurus is narrated by the discoverer of Dilophosaurus, Sam Welles, formerly a professor at the University of California Museum of Paleontology (UCMP). Links lead to Dr. Wells' description of the discovery, as well as the morphology and habits of the creature. He also compares and contrasts the real animal with the one shown in the movie Jurassic Park. In addition there is a link to a more detailed discussion of the taxonomy of the dinosaur.